P.G. 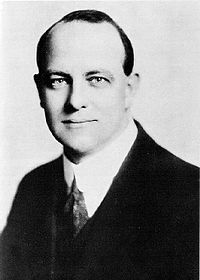 Wodehouse at age 23. Information from: http://www.gutenberg.org: Produced by Suzanne L. Shell, Charles Franks and the Online Distributed Proofreading Team. I’ve been wanting to make the acquaintance of these chappies for quite some time, don’t you know! I’ve just come out of a particular rummy spot with a lot of awful rotten work that had strained the old bean past endurance — and I felt it was time for a real spree. He took it without blinking. You can’t rattle Jeeves. The point being, our lives are not our own are they? Even at this light level — if we give our problems over to others, we can’t really get too bent out of shape when we come face to face with some sort of consequence we didn’t imagine. However, in a Wodehouse world, these consequences are never too dire. The Great War, the Spanish Influenza, the upheavals of the early 20th Century never intrude, and why should we want them to? “How are you this morning?” I asked. I’m sorry that it is has taken me this long to get to know these delightful stories and characters and I share young Motty’s wish. I’ll be seeing much more of Jeeves, Bertie and the rest of the gang very soon. Posted in Wodehouse, P. G.